This past Saturday, Seguin ISD held our 11th annual technology fair. These are common events in school districts around the country. I’ve been helping organize them in Seguin or, previously, in Birdville for at least a decade. 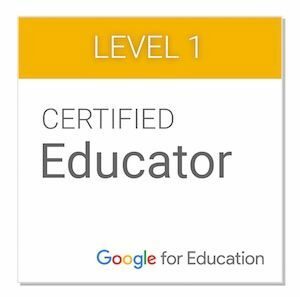 They have been, in my experience, opportunities for teachers and students to share how they are using technology to transform learning, Students present technology-infused class projects to audiences primarily of parents, sharing their feelings about the experiences. This is certainly a worthwhile format. It gives kids valuable opportunities to take on the role of presenters and speakers and reassures parents (and taxpayers) that their technology dollars are being wisely invested. Learning programming concepts in the Coding Lab. 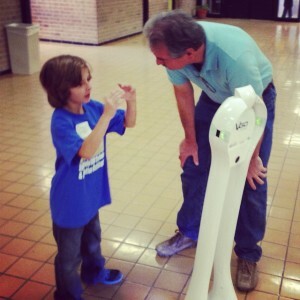 Getting face-to-face with a real robot. 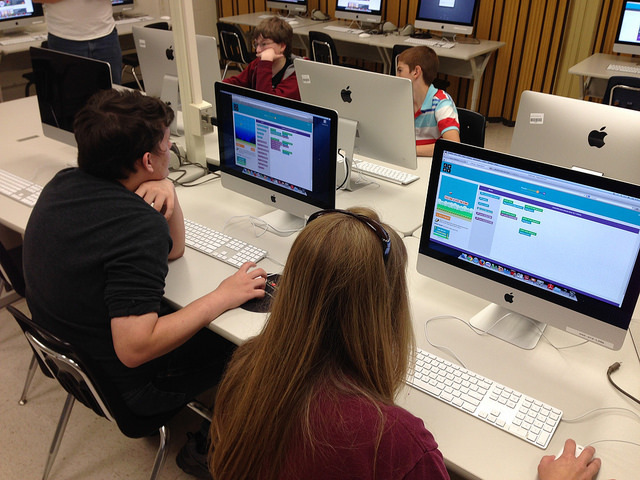 Coding lab–parents worked alongside students to take on challenges using Code.org or Scratch. MakeyMakey lab–families played and built computer input creations using MakeyMakeys. 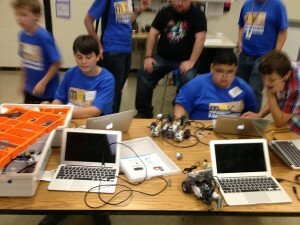 Robotics Playground–attendees tried their hands at programming Lego robots to do simple tasks. 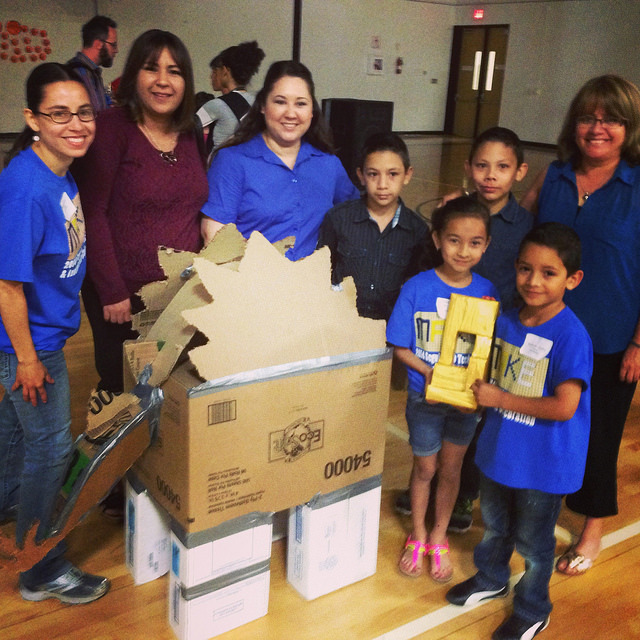 Cardboard Challenge–teams of family members and/or friends designed and built cardboard dinosaurs. 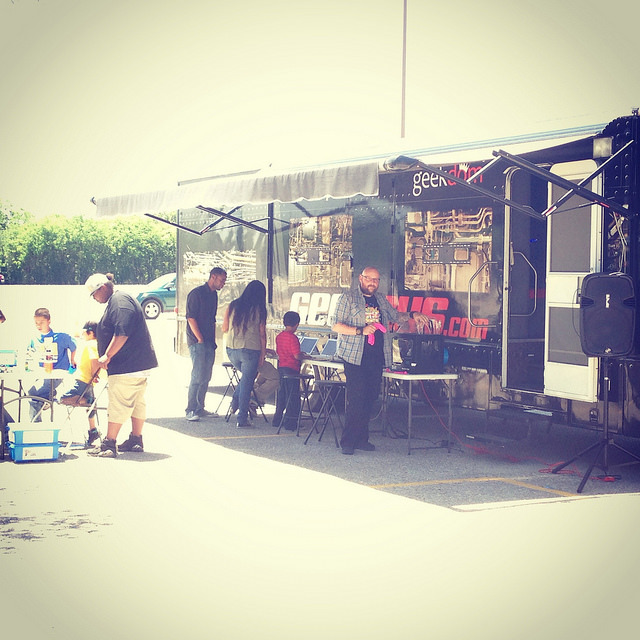 Geekbus–the mobile maker space gave families experiences with 3D printing, robotics, Raspberry Pis, and more. Guest speakers Nancy Giordano and William Hurley shared TED-style presentations with students about the importance technology and innovation would play in society’s future and inspired them to find ways to explore their own creative and inventive spirits. Cardboard Challenge champions and their amazing dinosaur. Exploring the Geekbus mobile maker space. world may very well be sitting in our classrooms. How rewarding would it be to know someday that we played a part in lighting the fire that sets them on their path to greatness?